There’s no getting around it, bacteria is everywhere. That’s not always a bad thing since many types of bacteria are more helpful than harmful. But sometimes we need a little immune boost to make sure we’re keeping around more healthy bacteria and less of the harmful stuff that can make us sick. Luckily, there’s a safe and natural way to do that... using essential oils. Some essential oils (listed below) have been found to fight off bacterial infections such as E. Coli, Candida, and Staph infections. If you’re suffering a bacterial infection or believe you may have been exposed to one, consider using an antibacterial essential oil instead of antibiotics. In recent years, people have become increasingly concerned with the health threats posed by many household chemical cleaners. Essential oils are an excellent alternative because they destroy viruses and bacteria without the potentially harmful ingredients in many household cleaners. Essential oils may be applied topically or ingested, depending on the type of oil and its use. However, you should only ingest them if you are fully educated on how to do so safely. Ideally, they should be consumed sparingly and treated as if they were an antibiotic or over-the-counter medication. Topical application is fairly safe and poses few health risks. However, certain oils may cause skin irritation. Make sure to test on a small area of your skin and dilute the oil before using. If you’re looking for a natural alternative to chemical cleaners for your home, there are tons of recipes available online to help you use your favorite essential oils in a spray or soap. You can also use undiluted essential oils in a nebulizing diffuser, which disperses the oil in your home to kill airborne bacteria. No matter how you plan to use them, essential oils should always be diluted appropriately as they are extremely concentrated. Take extra care if you are pregnant, breastfeeding or if you have a medical condition. Ask your medical provider if you are unsure about how to safely consume or apply any essential oil. Which essential oils kill bacteria? There are several different essential oils that can kill harmful bacteria. We’ll take a look at some of the best choices, as well as when and how to use them. 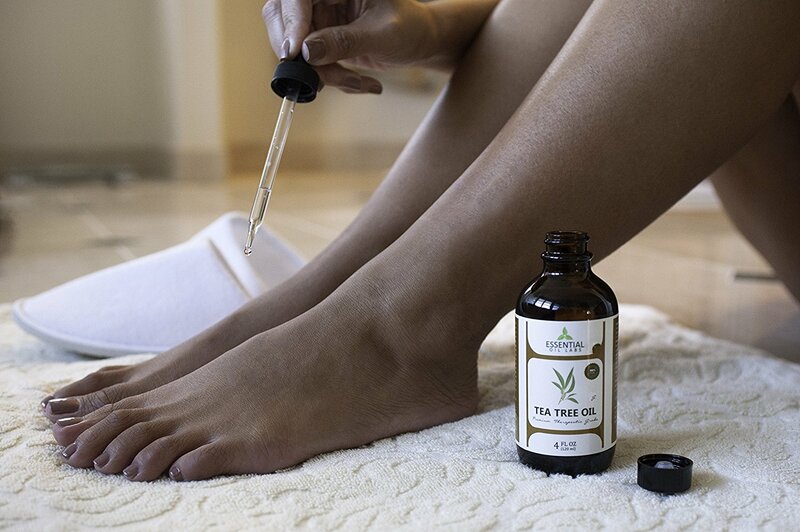 Known for its highly antibacterial, antiviral and antiseptic properties, tea tree oil is a true workhorse. If you’re suffering congestion from a cold, a few drops in a hot bath or steam treatment can help open up your sinuses for immediate relief while killing any lingering bacteria. It has also been shown to fight off E. Coli and Staph infections especially when combined with Eucalyptus. Applied topically, it can also be used to treat skin conditions such as acne, psoriasis, and eczema. Potentially the most powerful essential oil, cinnamon is known for its excellent antibacterial, antimicrobial and antiviral properties. It can be used to soothe or treat congestion and sore throats caused by colds, and it has also been shown to be one of the most effective essential oil to treat nasty bacterial infections like E. Coli and Staph infections. Like cinnamon, clove has been shown to fight off several forms of bacterial infections. It can also be used to alleviate symptoms of common ailments like headaches, toothaches, cough and indigestion. The pain caused by bacterial and viral infections like strep throat and tonsillitis can be treated by diluting clove oil in warm water and gargling the solution. In clinical studies, thyme oil was shown to strongly inhibit the growth of certain strains of bacteria. Even bacteria that had become resistant to multiple antibiotics was inhibited by thyme oil. It can be used to treat many types of infection, from intestinal infections to infections in the respiratory system. Like any essential oil, thyme oil should be diluted before any use. You may be used to using it in your food, but essential oil derived from oregano have surprisingly potent antibacterial properties. It’s especially effective against some drug-resistant strains of bacteria, and also works as a natural remedy and preventative for the common cold or flu. It has also proven useful as an inhibitor of candida, which is responsible for yeast infections, as well as listeria. Think of lemongrass as a slightly sweeter, more subtle cousin of traditional lemon. Its antibacterial properties along with its fresh, clean scent make it an excellent oil to use in natural household cleaners. It’s also been shown to be effective at treating both external and internal ailments, such as urinary tract infections or skin conditions. Whether you are fighting off a bacterial infection, a skin condition, or you’re just looking for a natural alternative to chemical household cleaners, essential oils offer a wide range of antibacterial benefits. From the common cold to skin conditions, using the right essential oils can help you live your healthiest life, naturally.